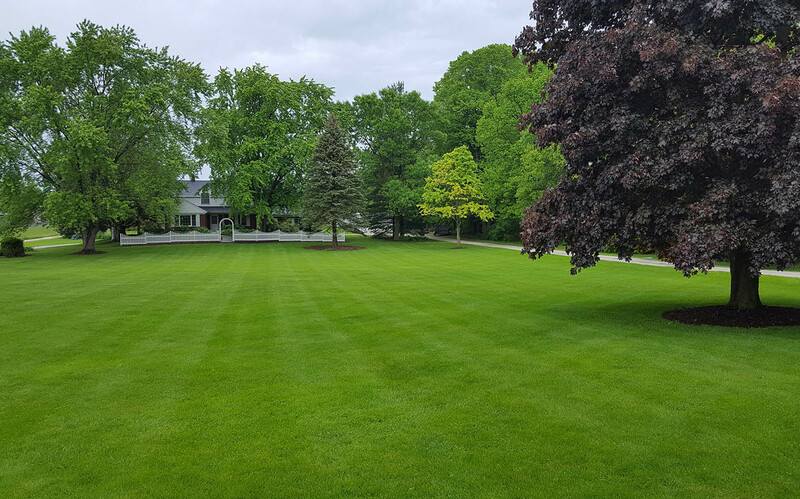 Green Meadow Lawn Care – Caring for your lawn like you would. We desire to provide excellent service for a reasonable price. We are a family owned and operated business with expenses and a budget. So we understand that maintaining your property takes a lot of time and can be expensive. We have been in business since 2013, providing service to both commercial and residential customers. 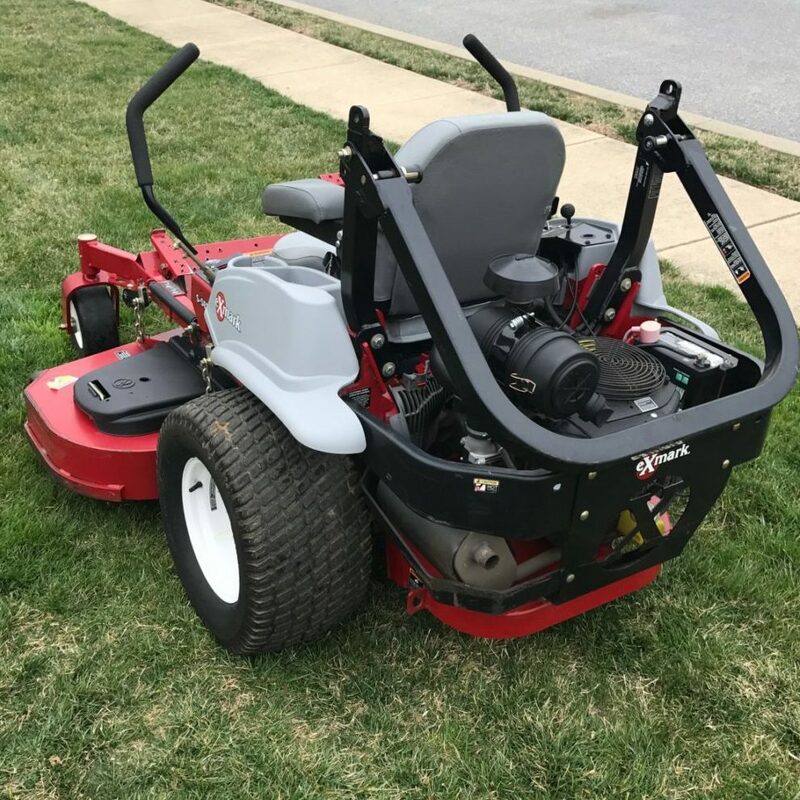 We can mow any size lot, however, 1/2 acre is about as small as we’d like to mow because of the size of our 60 inch Exmark mower. Estimates start at $60 and will depend on several factors such as the size of the lot, amount of trimming and details of the landscape. A free estimate will be provided after meeting with you and measuring the property. 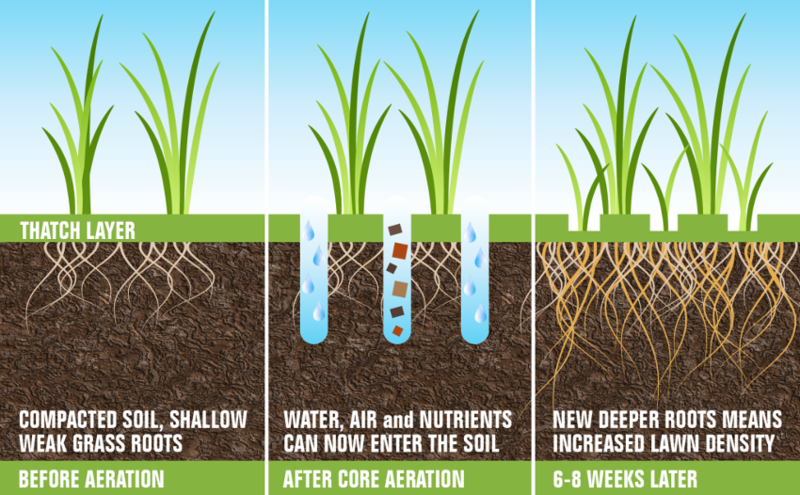 Core aeration is necessary for a healthy lawn as it breaks up compacted soil and provides an environment for roots to thrive. As with mowing our equipment is large and makes it very difficult to aerate a property that is less than 1/2 acre. Our base price for aeration is $80. We will provide a free estimate after meeting with you and measuring the property. Food and water are what allows the grass to grow and thrive. Over time nutrients in the soil aren’t all they could be resulting in grass that is merely surviving on what the rain can provide. At the same time, too much fertilizer will cause a brief surge in growth, yes, dark green grass, but both are temporary. Too much water can create an environment in which mold and diseases can thrive and damage your lawn. Then there are weeds… if you’re like us, you don’t like weeds and would like to get them under control. We can help with that. After we meet with you to understand what you’re goals are, we’ll measure and provide a free estimate. We can help you bring out the best in your lawn. Mowing it, trimming and edging, core aeration, fertilizing and attacking those weeds. Fill out our contact form and we’ll get back to you within 24 hours. Thank you!